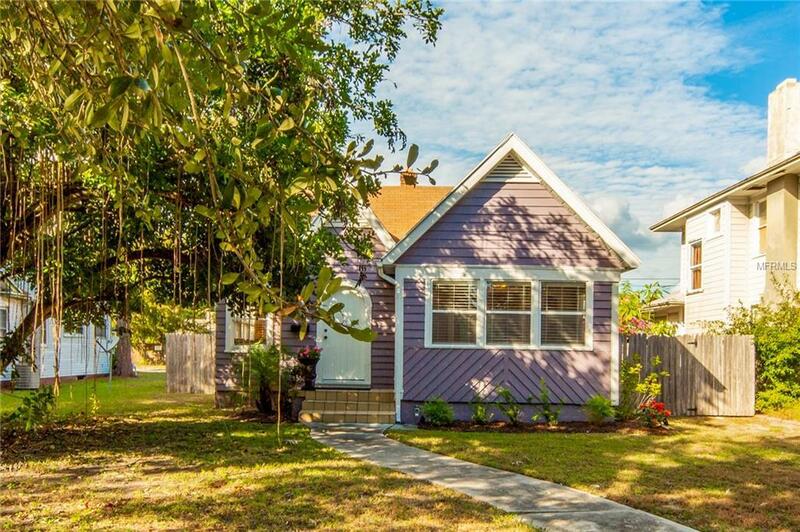 If only you could find a charming cottage style home half way between downtown St. Pete and the beautiful sandy beaches of Treasure Island, how amazing would that be? !Wait a minute, you just clicked on it!! This beautiful home is perfectly located between 2 of the destinations that make Pinellas County so desirable, downtown and the beaches!This 2 bedroom, 1 bath home is perfect for those new owners looking for a place to make tons of new memories that will last a lifetime.Minutes from the newly re-designed Tyrone Mall and amazing restaurants. Oh and did we mention that it is minutes from the famous St. Pete Beach, Sunset Beach and Madeira Beach! Notice the theme here? Beach Beach Beach......without paying the price for living on the beach!Youll enjoy a 1 car detached garage, with easy rear access. As well as, a relaxing Florida sun room, perfect for a reading room or home office. The homeowner just had a brand new water heater installed on 11/07/18Come by today to see your new home before someone else takes your future memories and makes them their own! Listing provided courtesy of Ez Choice Realty.